GiftOfGlam.com is a custom designed WordPress fashion magazine style layout project that I recently completed. This type of design is pure custom and very creative. This style of design is perfect for multi-media blog design layouts. Click Here or on the graphic below to see the live site. This is a beautiful feminine WordPress blog design for the online magazine blog for stylishher.com In addition to designing this creative, stylish looking magazine blog, I also made a custom designed facebook business page for this site. View the site at www.stylishher.com and you can view the fan page/business page design here. 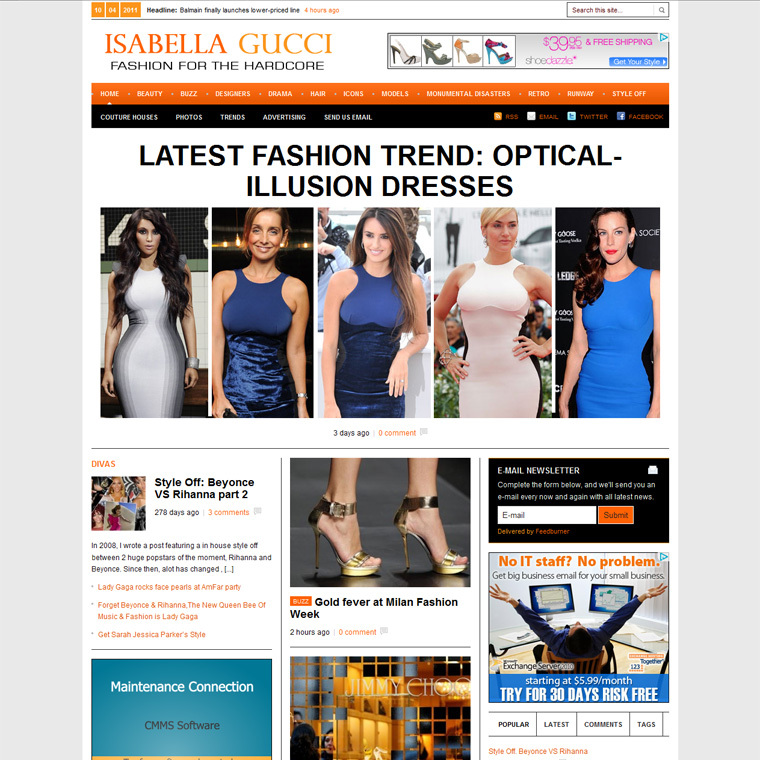 This is a recent re-designed fashion blog design for the magazine styled style site www.isabellagucci.com a fashion blog. This is inspired by the HuffingtonPost.com blog design. View the live design now.